Axiom Verge is a retro-styled 2D action game focused on unusual weaponry and exploration of an maze-like, infested world. You play as Trace, a relatively normal (if quirky) guy who suffers a near-fatal injury, after which he wakes up in a strange, unsettling new world that is both high-tech and incredibly ancient. Why is he here? Where are the world's inhabitants? And what is the mysterious force that seems intent on ending his life? 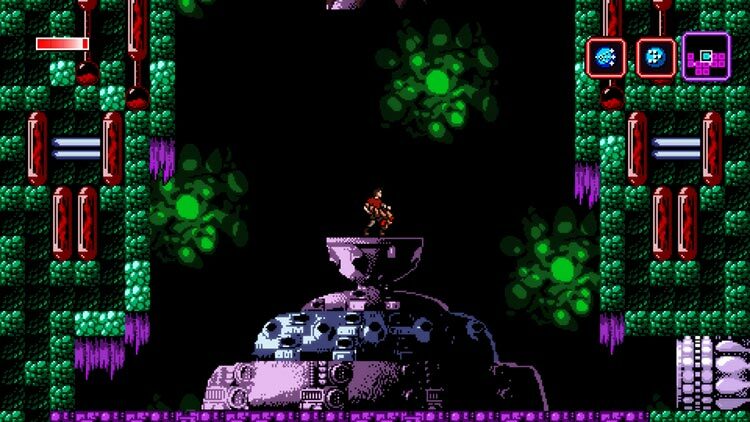 Although it closely follows the Metroidvania blueprint, the brilliantly designed and executed Axiom Verge adds enough new and original features to make it a truly great game in its own right. An absolute must for retro fans. I had no idea I'd enjoy Axiom Verge so much. Whereas many modern takes on classic retro genres fall foul of style over substance, this has been built with such skill that it doesn't need to rely on our annoying fondness of the past to impress. I had a dream about exploring underground tunnels the other night, and I rarely ever dream about anything. 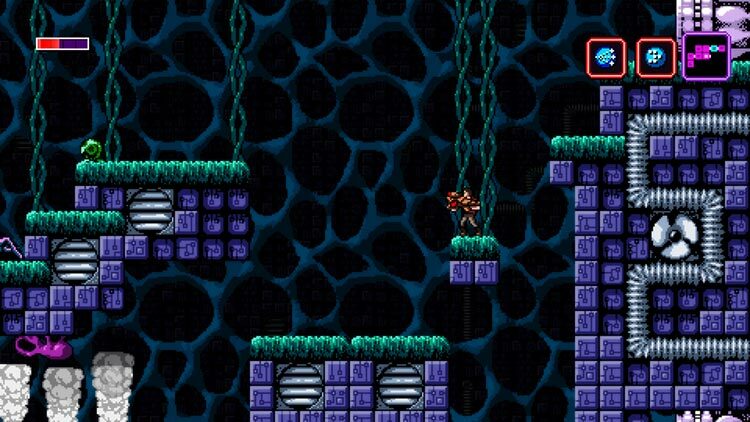 Axiom Verge has made a big and lasting impression. If you are looking for a meaty, thought-provoking adventure in the palm of your hand, few games pack a punch like Thomas Happ Games' Axiom Verge. Regardless of the occasional technical issues, it's great to be able to have access to this engrossing adventure in your pocket. 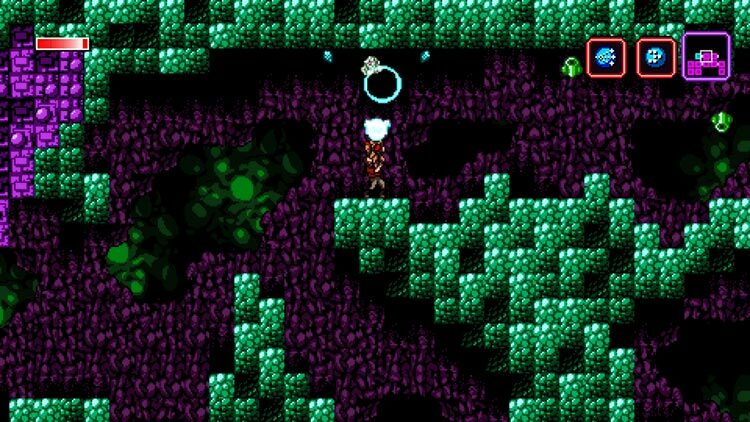 The game's original shortcomings still stand, but they don't take away from the things that the game gets right, and there are many things that Axiom Verge gets right. It's a love letter to Metroid fans, while also having its own set of gameplay mechanics that allow it to stand out in an otherwise crowded genre. It's a package that's so well put together, with its gorgeous pixel art and fitting soundtrack, all wrapped up in an experience you'll most likely want to play again as soon as you finish. The fact that it was created by a single dev makes the whole thing that much more impressive. 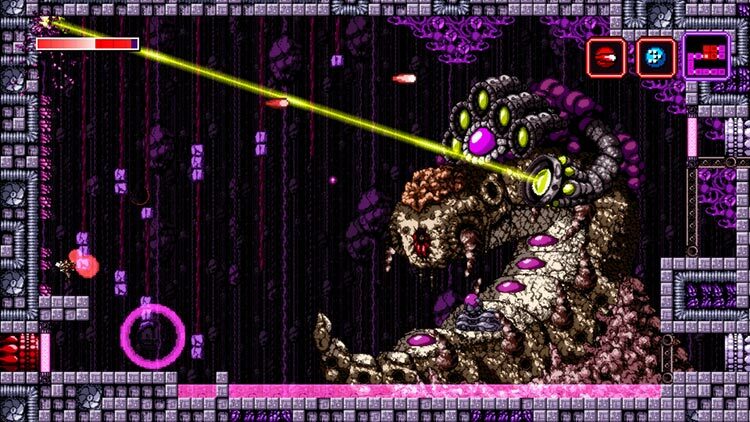 All this gives Axiom Verge surprising depth, and an edge of innovation in amongst all the homage. Though the game looks and feels old fashioned, there is enough here to keep you from drowning in nostalgia, and that's something other games could learn from. 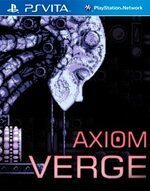 ...Axiom Verge is the work of just one man, and it's been in development for five years. That's an impressive feat in the world of tripleA titles that cost an arm and a leg to produce. That the game is hugely enjoyable only makes this feat more impressive. At its apex, Tom Happ's brainchild unequivocally proves just how far video game development has come in such a short space of time and that you can in fact teach an old dog new tricks. Cuenta también con multitud de secretos que podremos descubrir y una banda sonora que reparte calidad y nostalgia a partes iguales. Buen diseño de niveles, aunque más limitados y no tan laberínticos como los expertos del género podrían esperar, sistema de combate y plataformas ágil y enormes –aunque poco originales- jefes finales. Axiom Verge no reinventa la rueda, pero la hace rodar a muy buen ritmo en términos generales. 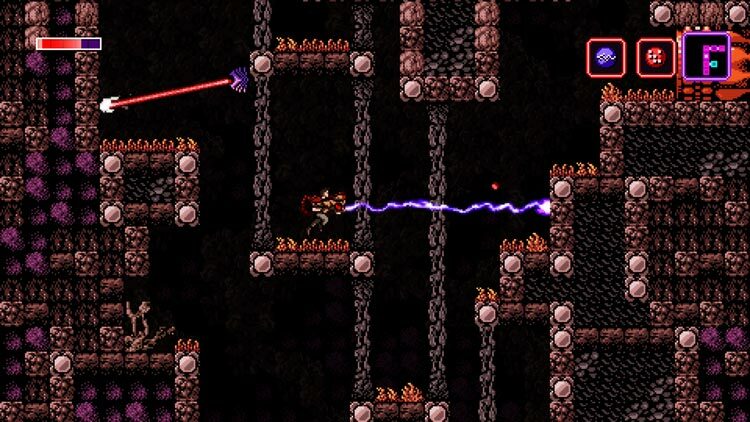 Axiom Verge s'inscrit comme le Metroid-like du moment et rend dignement hommage aux titres majeurs du genre. Certes, quelques défauts viennent entacher l'aventure mais ils sont vite oubliés face aux qualités indéniables que possède le titre de Thomas Happ. Si vous recherchez un jeu typé rétro à la saveur des Metroid d'antan, vous pouvez pénétrer dans le monde d'Axiom Verge sans problème.